It’s Week Four of August’s In The Good Old Summer Time Theme. Think of all the fun things to do in the summer… Badminton, Tennis, Beach Volleyball, Horseback Riding, Bird Watching, Swimming, Baseball, Barbecue, Fishing, Watching Fireflies, Watching Butterflies, Climbing trees, Gardening, Croquet, Fairs… there are so many. 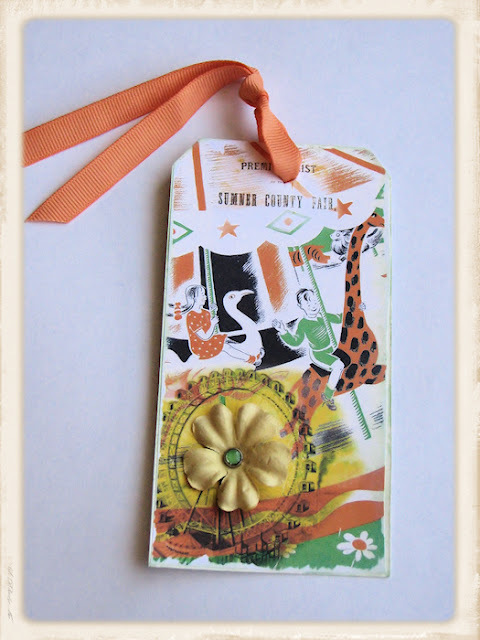 Living in the country, there are always lots of fairs going on, so I decided to make a tag about Fairs. 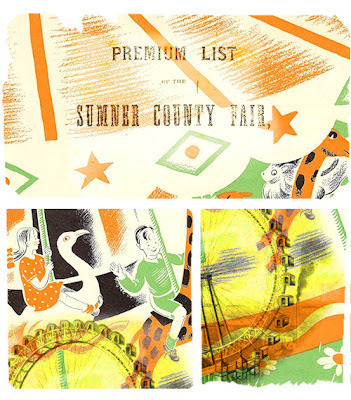 I used vintage images and ephemera from The Graphics Fairy and Free Vintage Digital Stamps. I just loved the picture of the children on the carousel and liked the colors too. I worked digitally, combining the images in Photoshop and adjusting colors to blend together nicely. I printed my final image out, trimmed the edges to fit a large tag and glued it to the tag. I added a yellow flower to the center of the ferris wheel using a green jeweled brad. Then, I tied an orange ribbon through the hole and edged the tag with pale green ink. Summer Fair Tag by Tori B. The lighting doesn’t do the tag justice, but I think it’s pretty cute. What did you make with this week’s inspiration? I can’t wait to see. Please link up below and share. And… so you can get started on Week Five. Our inspiration next week will be Summer In The Garden. Posted in Uncategorized and tagged altered art, art, art blog hop, art challenge, Artists Card and Tag Tuesdays, link party. I like your summer fair tag! Thanks Lori. I'm happy you like it.